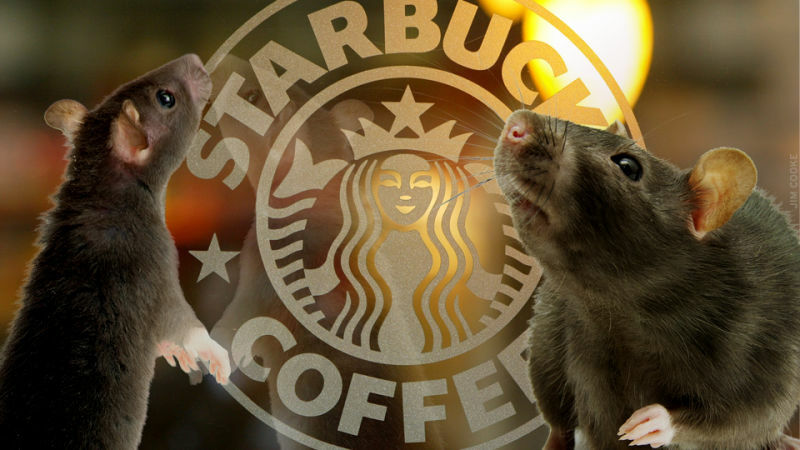 The New York City Health Department recently inspected 30 Rock's Starbucks and discovered it to be teeming with "live mice." Consequently, the Starbucks serving the stars of NBC received a 'C.' Which other Manhattan Starbucks stores are among the impressively filthy elite? Answer: The Starbucks stores serving Zucotti Park, Park Avenue, and Penn Station. All four currently have either a "C" or "Grade Pending," the latter of which is code for "crappy grade, but they're trying to shape up and/or are contesting it at a Health Tribunal." The only rating worse than "C" and "Grade Pending" is "Closed." 2) Facility not vermin proof. Harborage or conditions conducive to attracting vermin to the premises and/or allowing vermin to exist. "Allowing vermin to exist" is an admittedly odd violation. By that standard, God would not pass a Health Department inspection. Anyway, back to the report cards. 3)Facility not vermin proof. Harborage or conditions conducive to attracting vermin to the premises and/or allowing vermin to exist. 4) Covered garbage receptacle not provided or inadequate, except that garbage receptacle may be uncovered during active use. Garbage storage area not properly constructed or maintained; grinder or compactor dirty. "Soap not provided" troubles me. No soap anywhere? In the whole place? Or was the soap dish just in the wrong place. 151 West 34th St., between 6th and 7th Ave.
4) Facility not vermin proof. Harborage or conditions conducive to attracting vermin to the premises and/or allowing vermin to exist. 301 Park Avenue, corner of 49th St.
6) Non-food contact surface improperly constructed. Unacceptable material used. Non-food contact surface or equipment improperly maintained and/or not properly sealed, raised, spaced or movable to allow accessibility for cleaning on all sides, above and underneath the unit. Do you know of a restaurant, coffee shop, bar, or soul-killing chain of lifestyle-branded piping-hot edibles that has a humorously awful track record on hygiene? 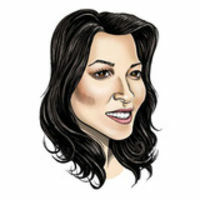 Email maureen@gawker.com.